This is the very heart of why we created Clear Sales Message. 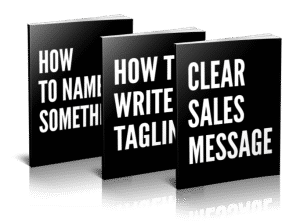 It’s impossible to increase your sales or to train anyone to sell without addressing what your product or service does, how it’s different and why it should be chosen. 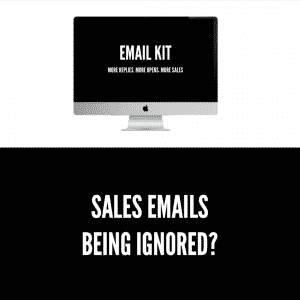 If you fail to address this, your sales results will always be limited. Clearly explaining what you do, in a way that is engaging for your clients can often be overlooked in favour of catchy taglines and impressive website graphics. Before any sale takes place, you must be able to explain what you do and what that means so that your client understands. 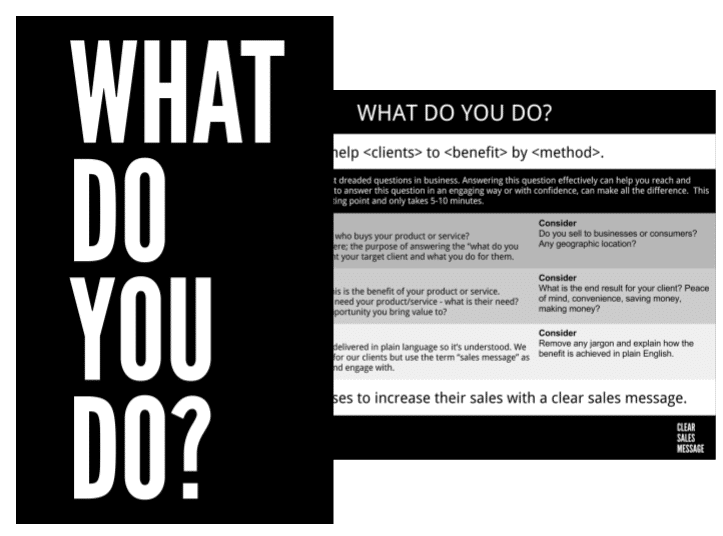 If you can do this effectively you will differentiate yourself from the myriad of businesses that fail to articulate their basic sales proposition. Remember – above all else, if they don’t understand it, they can’t buy it. 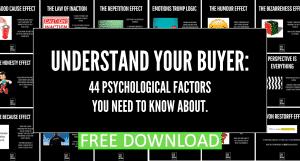 Find out more about the 7 questions you need to answer and the 3 principles of a Clear Sales Message.